Travel tips seem to be a dime a dozen these days and most people probably know it all when it comes to booking and organising their next holiday, or at least think they do. But what about travelling when you are migrating? Suddenly it’s a whole new ball game as you aren’t just thinking about what you need for the next week or two, but for the rest of your life! So when an email pinged into my inbox from Problogger about a blogging challenge they were running in conjunction with Virgin Australia about your top travel tips, I knew exactly what I was going to write about. These are my top ten travel tips for emigrating! This is important as it’s likely to be much easier, quicker and cheaper to get your passport renewed in your home country than it is going to be from overseas once you have migrated. 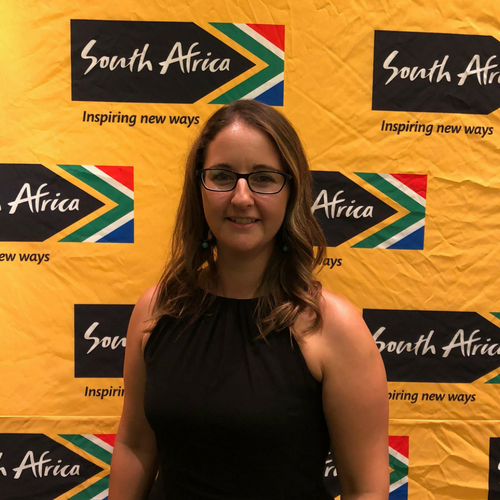 Especially if you are coming from South Africa, doing anything via an overseas embassy can add weeks if not months to an already lengthy time it takes to get anything done through a government department! If you have less than two years left on your passport, consider renewing it before you leave. With Australia issuing electronic visas, a change of passport just means you need to advise Immigration that your current passport has changed so your electronic visa can be updated accordingly. You can find all the details of how to do this here. Price and total travel time do not usually go hand in hand, so you are going to have to decide which is more important to you – paying the cheapest price for your flight or getting to your destination as quickly as possible. Cheaper flights will normally involve at least one stop, if not more. Which seems crazy as you are taking more flights and travelling a greater distance so you would think this be more expensive but no, it seems the airlines know that people are willing to pay more for the convenience of direct travel so they charge accordingly. A useful website to use is Skyscanner which searches across multiple airlines for your route and dates and then shows you the cheapest or most direct routes. You can specify if you want direct flights, one stop or more than one stop. Not all flights are always shown on here though so use it as a research tool and then try looking direct on the airline websites to see what else they may have available. If you are migrating, your airline may offer an additional baggage allowance, which can be awesome when you are trying to pack your lives in your luggage! There is, however, usually a condition that you have to hold a visa which has not been activated yet for your destination country. 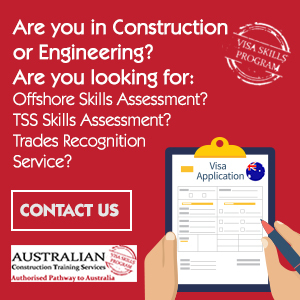 When you are granted a permanent resident visa for Australia, you normally have 1 year to activate it, so as long as your visa has not been activated, (i.e. you have not entered the country on your visa since it was granted) you can claim this extra allowance if the airline offers it. The only airline I know that offers additional allowances specifically for people who are emigrating is Singapore Airlines, which doubled our allowance from 20kgs to 40kgs per person when we emigrated back in 2013. 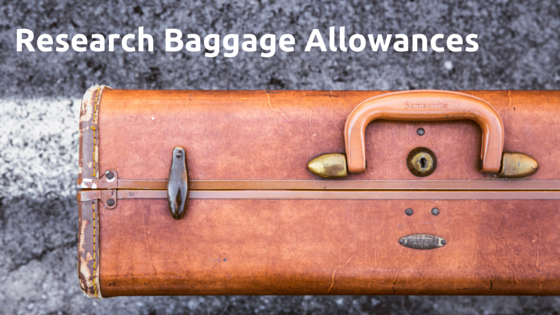 If you can’t get an increased allowance, consider flying with Emirates, Singapore Airlines or Etihad Airways as they offer 30kg checked luggage as standard, compared to the normal 20/23kgs you get with most other airlines. And remember, any children travelling in their own seat get a baggage allowance and hand luggage allowance too so max it out! If you have the time, money and inclination (let’s face it, sometimes you just want to get straight to your final destination! ), you could have a stopover somewhere on your way to your new home country. This can help you enjoy your travelling a little more as well as help you adjust to the different time zones over a few days if you are crossing several of them. Coming to Australia, you could stop off at so many awesome and exotic places – Mauritius, Thailand, Bali, Hong Kong, Malaysia or Singapore to name a few. If you have a long flight to your new home country, and especially if you are crossing several time zones, try and book flights which mean you arrive late afternoon or at some point in the evening. Travelling is always tiring and being able to get over jet lag quickly will help you settle into your new life with one less thing to worry about. Arriving at night means you can have something to eat, grab a shower or just go straight to bed and hopefully sleep through the night and wake feeling somewhat refreshed, as opposed to arriving in the morning and trying to stay awake all day to force your body clock to adjust. This pretty much goes without saying whether you are migrating or simply travelling but always pack anything of value in your hand luggage. The last thing you need is to arrive, ready to start your new life, only to be missing things that are either irreplaceable or expensive to replace. Cameras, laptops and jewellery (most shipping companies will not accept jewellery in your container) should all go in your hand luggage. Official documents are also items of value and should therefore also go in your hand luggage. Most documents can be stored electronically on a USB, laptop or notebook these days but if you have important papers like driving licenses, original university degrees or original reference letters, don’t risk them getting lost in your checked luggage – I am sure everyone has lost a bag at least once while travelling and while most will find their way back to you after a few days, it’s a risk you just don’t need when migrating! Choosing seats on your flights is so easy these days, with many airlines offering seat selection as soon as you book. But how do you know what the best seats are especially if you have not flown with your chosen airline or on that plane type before? 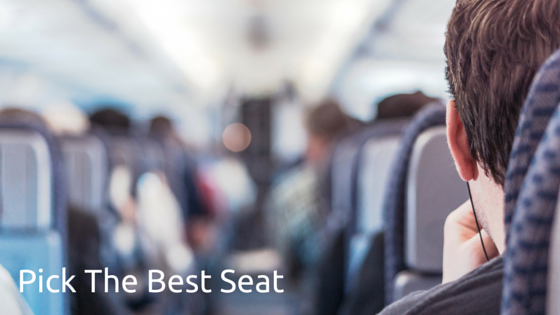 A great resource to check out is Seat Guru, which tells you everything you need to know about the plane you will be flying on and even highlights the best and worst seats for you. Also, it’s worth rechecking your seat allocation a few days before you fly, just in case some new, better seats have opened up and also to check your seats haven’t been reallocated perhaps due to a change in plane type. 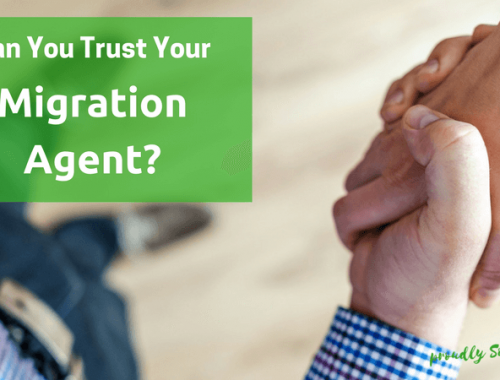 Did you know that regular travel insurance is not sufficient for migration purposes? This is because travel insurance policies require a return date and then insure you for the period of your trip. If you don’t have a return date, you won’t be covered, and if something goes really bad, you will end up being repatriated to your country of origin – which is not what you want! Go Walkabout is a respected migration insurance agent and can offer migration insurance policies for those leaving from the UK and TIC for those leaving from South Africa (although I do not personally know of anyone who has used their services before). Both have policies which cover a variety of days so check them out if you would like to be covered for every eventuality. Most migrants will have already opened a bank account and transferred the bulk of their funds to it before they hop on that plane. But don’t forget to take enough cash to see you through at least your first week. We arrived in Australia and popped to the bank to collect our bank cards on the first day, only to find out that the bank had issued our cards too early and because we had not collected them from the branch in time (due to not being in the country yet!) they had been destroyed! We had to request new cards which took another week to arrive. Luckily we had some cash already but it meant if we needed more money we had to go into the branch with several forms of ID just to get cash out, which was very limiting. And there you have it, my top travel tips for emigrating! I hope you find this useful and would love to know if you have any tips you would add to this list. Very useful information, and the links provided are great! 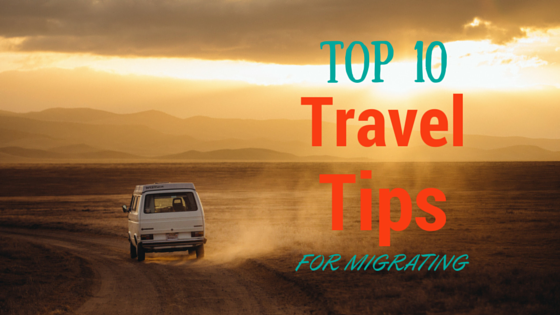 Not planning on migrating but will definitely use these tips when travelling! These are fantastic tips Reeva, I’m sure there are some things that potential migrants haven’t considered. Good to have advice from someone with experience! Thanks Debbie – there are always so many things to think about so it’s hard to think of everything when it comes to migrating. Thank you Heather – those are really important points which probably deserve whole separate blog posts – so much to consider when it comes to accommodation when you arrive isn’t there? Great tips Reeva. I’m going to get on Seat Guru! Glad to hear it Ben – get those seats sorted now! Really practical and useful advice! Simple, but important things to stay on track for a sometimes overwhelming life change 🙂 It would be great if you could do a follow up blog on some key points to consider on what to pack / what not to pack when migrating taking into consideration Australian restrictions. Great tips – as others have said, not just for emigrating but for travelling in general! Thank you Delta! Glad you think so! Not that you are biased or anything 😉 -thank you! Great advice Reeva. If only I had something like this before we moved! Seat guru sounds great. Going to check that out. 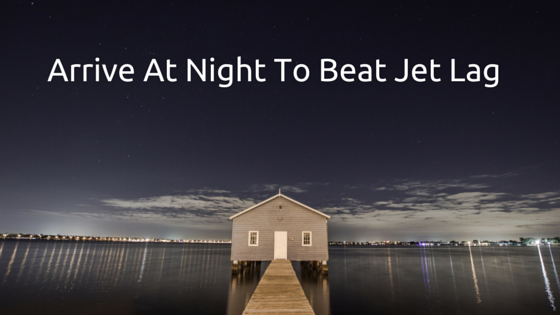 Only thing I can add is – if you’re flying with young children, fly at night so they can sleep. Thanks Cara. Flying at night with kids is a great tip. With the time difference between Europe and Australia you can often fly overnight and still arrive in the evening too – 2 birds, 1 stone! Some good advice here! We are waiting patiently (well, waiting ?) for a case officer to be appointed to assess our Contributory Parent Visa application. The agents have advised us to get medicals done so it is getting close. We hope that we will soon be able to put your advice to use. Good luck! Hope your visa is granted soon! Well done on another great article Reeva. For those immigrating and using a one way ticket contact IOM (International Organization for Migration). They provide much cheaper one way tickets with extra luggage allowance than the standard one way ticket from a regular airline. Even though you fly on the regular airlines. Really well thought out Reeva – couldn’t think of a ‘but….’ moment.